Nestled between the Fisher College of Business and the Ohio Stadium on The Ohio State University campus, The Blackwell could be mistaken for a classroom building at first glance. But behind an unassuming brick exterior lies a Forbes Travel Guide Recommended hotel with a dedicated focus on the customer experience. The Blackwell is owned and operated by the Fisher College of Business in a unique arrangement. Because it has no chain-hotel management to answer to, staff and management at The Blackwell can focus their attention on delivering the best-possible guest experience. Constructed just 11 years ago, the 151-room hotel offers a good blend of attentive service and prime perks, including nightly turndown, and live plants in every room. 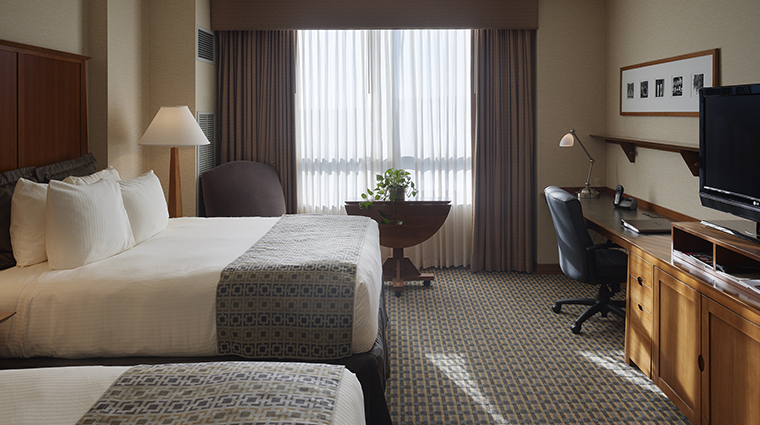 With its proximity to and gorgeous view of “The ’Shoe,” as Ohio Stadium often is called, you’ll have the best room in the city to revel in all the Buckeyes’ glory. The Blackwell is located on the northern end of Columbus’s University District, on the west side of the Fisher College of Business campus at The Ohio State University. The famed Ohio Stadium, also known as The Horseshoe or simply “The ’Shoe,” is home to The Ohio State Buckeyes and is visible from the Forbes Travel Guide Recommended hotel’s west-facing rooms. 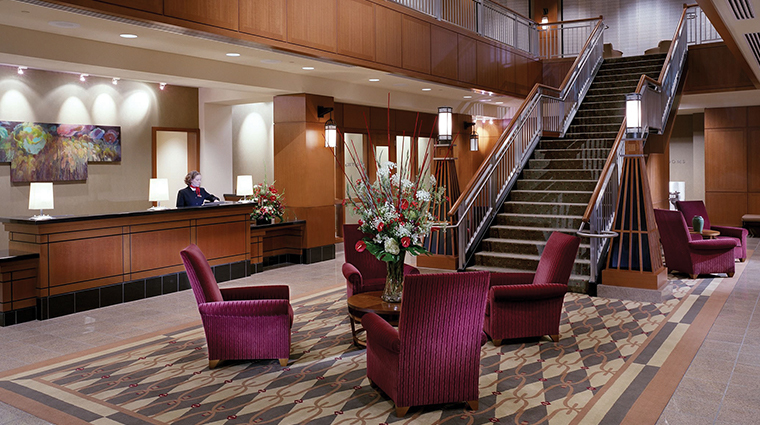 Even though it’s a campus-area hotel, The Blackwell strives to avoid an overly collegiate feel. The only visual concession to Columbus’s football obsession can be found in the Forbes Travel Guide Recommended hotel's gift shop, where a plethora of Buckeye football gear can be found next to snacks, drinks and extra toiletries. All the art in the rooms and the public spaces of the Forbes Travel Guide Recommended hotel is made by local artists, and photographs in each room feature close-up details of various architectural features on The Ohio State University campus. The Ohio State University is located north of downtown Columbus and the trendy Short North Arts District and south of the quiet Clintonville neighborhood. The Blackwell is within walkable distance of most university buildings and shops, but comfortable shoes are advised; the campus is one of the nation’s largest. It should come as no surprise that the hotel fills up almost immediately for home football game weekends. If you want to score a spot, be sure to call within the first hour or two after they go on sale the Tuesday after the BCS National Championship Game in January. The city offers a great variety of events and festivals during the football off months, including the Arnold Sports Festival in late February/early March, the Memorial Tournament in late May/early June, the Ohio State Fair in late July/early August, and the Dublin Irish Festival in August. Both the standard rooms and suites at The Blackwell offer a comfortable blend of “Arts and Crafts” and “American Craftsman” style furnishings and décor. The clean lines, geometric accents, stone and woodwork evoke an early- to mid-century Frank Lloyd Wright feel. Each room features a long built-in desk with two separate workstations and two phone lines. 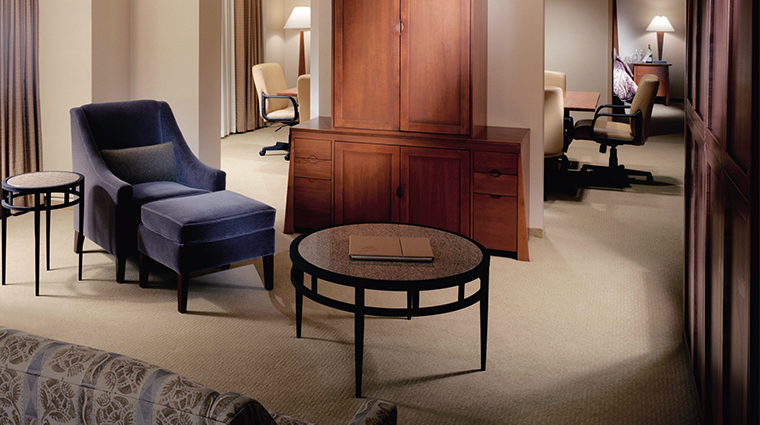 An in-room safe will keep your laptop and other valuables secure while you’re out and about in the city. And when you return, the room will be ready for you to unwind, thanks to evening turndown service and luxuriously thick terrycloth bathrobes. All rooms also feature an iHome clock radio, a small book light for nighttime reading and a mini-bar area with a variety of complimentary Keurig K-Cups and teas. DVD players come standard in the hotel’s suites, as does an upgraded toiletries package that includes bath salts, larger soaps and shampoo bottles, and more. Vaulted ceilings and a microfiber robe also come with these rooms. 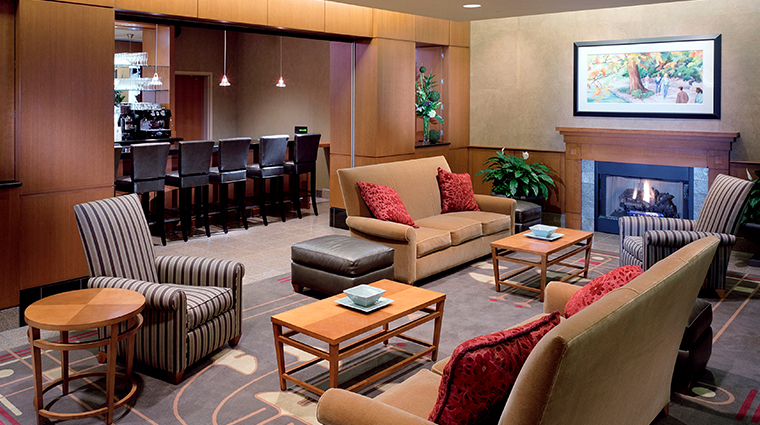 Suites on the executive level also include a morning continental breakfast, afternoon snacks and drinks. The Blackwell features just one full-service restaurant, Bistro 2110, connected to the conference center next to the Forbes Travel Guide Recommended hotel via an interior corridor. The vast majority of the menu is prepared in the restaurant’s kitchen and pastry kitchen, including breads and pastries, smoked meats, and potato chips all made in-house. Don’t miss the crowd-favorite salmon puttanesca, served with mascarpone basil risotto and topped with a relish of capers, roasted peppers, olives and tomatoes. Save room for desserts like the Irish cream cheesecake with salted caramel sauce and coconut-infused tres leche cake. The buffet features a rotating selection of themed dishes, from Asian-inspired cuisine to Tex-Mex and more. If you miss the restaurant hours, you can grab a bite at the Bistro 2110 Lounge, which features a limited menu of salads, appetizers and sandwiches in addition to a full bar. Try a Buckeye-inspired cocktail to get into the real spirit of the campus.